@zoediamond6 is on Carousell - Follow to stay updated! 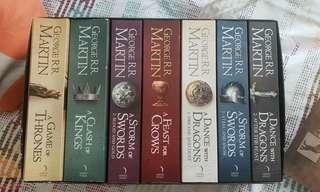 A Song of Ice and Fire (A Game of Thrones) complete set!! Research Methods in Health - Foundations for evidenced-based practice Edited by Pranee Liamputtong ISBN: 978-0-19-552006-4 RRP: $95 Textbook in excellent condition! Very well looked after. 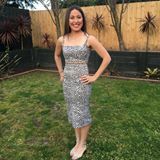 Prefer pick-up in South Caulfield but willing to meet up somewhere if needed. Second Opinion - An Introduction to Health Sociology (4th Edition) By John Germov ISBN: 978-0-19-556281-1 RRP: $95 Textbook in excellent condition! Very well looked after. Prefer pick-up in South Caulfield but willing to meet up somewhere if needed. Jarvis' Physical Examination and Health Assessment 1e (2012) Watts, Elizabeth ISBN: 978-0-7295-3973-9 Excellent Condition - Almost as new. Prefer pick up in South Caulfield but willing to find something that suits. Let me know if you have any other questions! Used but very good condition. No screen cracks or water damage, hard reset already complete so basically as new! In Samsung packaging with charger and 2 chords. 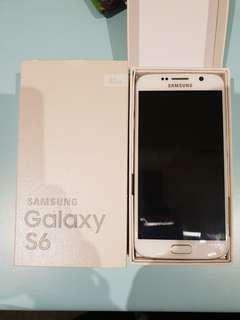 Selling as received a new phone with new contract. Please message for details.